Up to 25 people attempting to cross the Mediterranean are feared dead following a search operation off the coast of Libya that ended with the rescue of 115 others, according to local authorities. 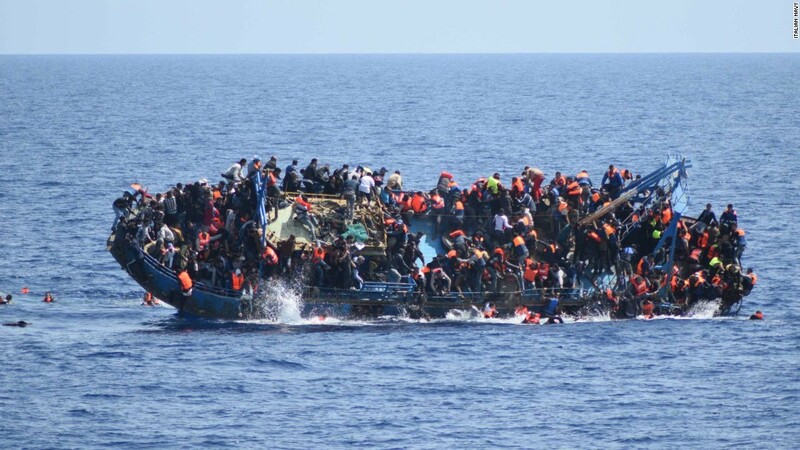 Libya's coastguard said the victims' rubber boat sank around 3am (05:00 GMT) on Friday, some five kilometrers off Tajoura, just east of the Libyan capital of Tripoli, because it was overloaded and taking on water. "Our coastguards carried out a search operation in that area off Tajoura in attempting to find the missing ones but no one was found," naval forces spokesman Ayoub Qassem told the Reuters news agency. Those rescued, including six women, were mostly from sub-Saharan African countries, the coastguard said. One of the survivors was from Bangladesh, Qassem added. Libya is the main human smuggling point for people hoping to reach Europe by sea, usually crossing in flimsy inflatable craft loaded with small amounts of fuel in an attempt to get them only as far as EU rescue vessels stationed in international waters. Last month, the bodies of 74 people were found washed up on a beach in Zawiya, western Libya, after the engine of their vessel was stolen. Hundreds of people have died en route to Europe since the start of 2017, according to the United Nations. More than 4,500 people died attempting the crossing last year. In early February, European Union leaders agreed on a controversial plan to help stem the flow of people from Libya. Under the agreement, the bloc would provide Libya's government with funds to increase efforts to stop boats from crossing territorial waters, and to "break the business model" of people traffickers who helped 181,000 refugees enter the EU through Libya and Italy last year. The announcement was strongly criticised by human rights groups which said such plans increased risks and the chance of abuses.